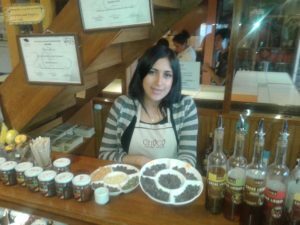 Thanks to the coordination of the Cacaomuseum and Cross Cultural Bridges, Alexandre Bellion, Erik Sauer and Gustavo Hernandez facilitated a workshop on fine chocolate making in Lima, Peru, organized by the Central de Cafe y Cacao (November 27 to 29). 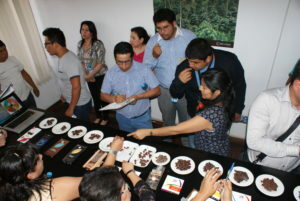 We also visited the factory of Baure Chocolates in Santa Cruz (Bolivia). 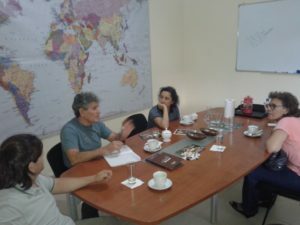 Henkjan Laats (Cacaomuseum) and Erik Sauer (El Sauco) visited from 2-4 December several producers and connaisseurs of Chuncho cacao and chocolate in Cusco, Peru. 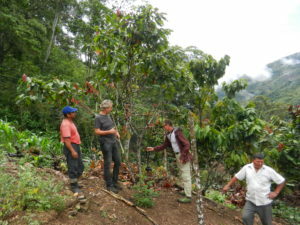 2 dec: Office of Flor Margarita, Huayopata, 3 dec: Cacao tour by Flor Margarita (Willy and Nancy Marin Echegaray), 4 dec: Walter Delgado of the Cooperative d’Mateo, producers Faustino Tirado and Percy Quispe, and Chuncho expert Wilton Cespedes. The Chocomuseo in Cusco was our last visit.